Osborn’s Georgia Carpet offers the best of both worlds. Our showroom can match any decor you choose and special order it for you. Our value-filled warehouse has over 23,000 sq. ft. of unbeatable deals. You can find everything from low dollar product to high quality, designer products, all at GUARANTEED lowest prices. 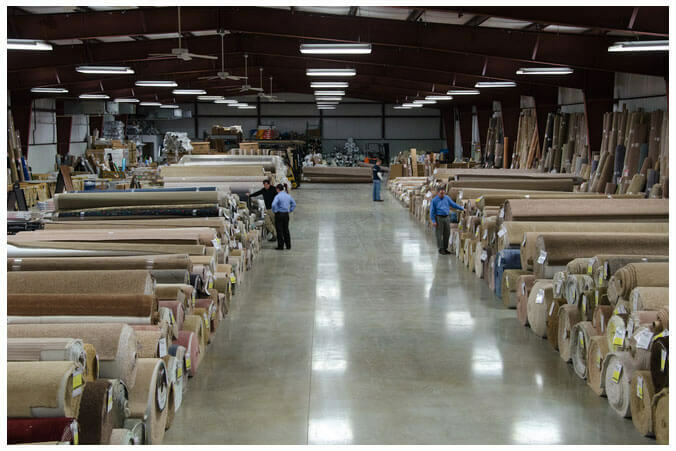 We offer a huge selection of carpet, carpet tiles, vinyl, vinyl tiles, ceramic tile, natural stone, wood, laminate and granite countertops. Professional installation is available or you can take it with you! And now to make it even easier for you to take advantage of the great deals in the warehouse we are offering FREE FINANCING on our in stock selection as well as everything in our showroom!